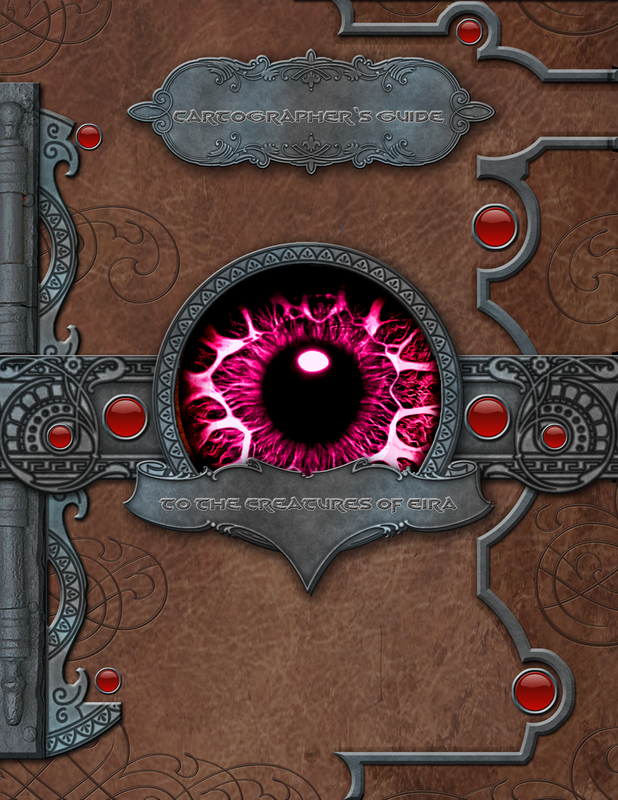 Genius Loci Games: Cartographer's Guide to the Creatures of Eira, Final Edition is Live! Cartographer's Guide to the Creatures of Eira, Final Edition is Live! The final edition of the Creature Guide is now available over at Drivethrurpg for $1.50 until January 2nd, after which it will be going up to its full price of $4.00. The creature guide features 45 (including several never seen before on the Genius Loci blog) monsters inspired pulp stories of the 1930s and the mythology and folklore of the British Isles. This final edition features six pieces of interior art of original commission pieces and stock art as well as a new cover that invokes the "tome" look of the third edition of Dungeons & Dragons. All monsters presented in the Creature Guide are written in the stat block style of Swords & Wizardry and Crypts and Things and are fully compatible with most if not all early edition OSR. Take a look, pick up a copy and spread the word! I purchased a copy on DTRPG and am very satisfied with it. I love the Celtic flavor that my players won't recognize at all. One problem I encountered was that on page 25, the Yungant'ytan header and quote/blurb display as unreadable gibberish. The only reason I know the creature's name is because it appears lower down in the description. Thank you for bringing this to my attention. I'll see what is going on with that and release an updated copy as soon as I've solved it. Thanks too for picking it up and I am very happy that you're enjoying it!